In recent years, Obama said, there has been a striking rise in the cost of tuition, which has been outpacing wages - with states spending less, and families taking out more loans. Student loan is a form of financial aid that needs to be repaid with interest, whereas Scholarships are the ones which are not to be repaid. For further details SchoolandUniversity.com advises individuals to visit FAFSA for further details. Student loans - Stafford and Perkins loans. Lots of students depend on federal government grants and loans to finance their education. Mostly, they are popular due to low interest rates and they do not require credit checks or security. They also provide a variety of rescheduling options and extensive repayment terms. Student loans mostly are from Federal Stafford and Federal Perkins. A recent update from Dartmouth claims that Stafford Student loan Interest rate hike will impact future loans. The Federal loans for students are also known as Stafford loans which has two variations. Private lenders such as savings and loan associations, credit unions and banks provide these loans. These loans are guaranteed against default by the federal government. These loans are also called "Direct Loans" which are managed by "Direct Lending Schools". These loans are given directly to parents or students by US government. Federal government provides limited amount of funds to specific schools. In turn the school lends these funds as loan to students who are in need of financial aid to further their studies. This arrangement is called Perkins Loan. ii. Interest is paid by the federal government during the in-school and the 9-month grace periods. iii. Bare minimum interest rate of 5%. iv. 10 year repayment tenure. School's financial aid office determines the amount of Perkins loans for an eligible applicant. Undergraduate students get $5,500 per year and graduate students get $8,000 per year. Undergraduate loan has a cumulative limit of $27,500 whereas $60,000 for undergraduate and graduate loans combined. The Perkins is the only loan that offers better repayment and cancellation provisions as compared to Stafford or PLUS loans. It is an additional financial aid offered to parents of dependent students to supplement their children's aid packages. Parents of undergraduate students are privileged with this federal Parent loan (PLUS) which allows parents to borrow money to cover the costs that are not already covered by the student's financial aid package. It includes entire cost of attendance with no cumulative limits. Such Parent PLUS loans become financial liability of parents and not the students. In cases where the students have agreed to repay the PLUS loan and have failed to do so, the parents are held responsible. At times is observed that the actual cost to be incurred on education is much higher as compared to the loan or the financial aid, the student receives. Private education loan is the one which is utilized to pay this surplus amount. 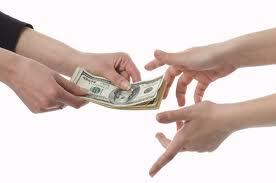 These loans are often landed by private lenders without any federal formalities. CREDIT SCORE plays a vital role in making one eligible for such loans and is looked upon by families/parents looking for more amounts than what Federal program paid them. Private student loans tend to cost more as compared to Federal offerings but are still less expensive as compared to Credit card debts.This loan is comparatively very expensive then Federal loan; may it be better repayment option or the forgiveness option. Hence, one should exhaust the eligibility for federal offering before going in for private student loans. As the name specifies, consolidation loans help to merge several loans; irrespective of student or parent loans in one finer loan and that too from a single lender, which in turn is used to pay off the balance of other loans. It can be a classic example of refinanced mortgage. Chances of consolidation loans for most federal loans such as FFELP (Stafford, PLUS and SLS), FISL, HEAL, Perkins, NSL, Health Professional Student loans, Guaranteed Student loans and Direct loans are higher as compared to other loans. A very few lenders offer such consolidation options for private education loans.